Is it factual that $17,000,000 dollars of taxpayer money has been used for hush money for sexual allegations toward elected officials in Washington? Amid a #MeToo-tinged fight in the Senate over the confirmation of Supreme Court nominee Brett Kavanaugh, some readers have inquired about how much federal money has been spent settling sexual harassment claims lodged against lawmakers. But the $17 million figure mentioned by some and treated as fact in viral posts circulating on social media is incorrectly cited. It’s true that the federal Office of Compliance, in a 2017 report, said that between 1997 and 2017, it had recorded more than 260 settlements and awards — totaling more than $17 million. But those cases include more than just complaints of sexual harassment and they don’t only relate to claims against members of Congress. Money for settlements through the OOC is drawn from an account set up within the Treasury Department, per the Accountability Act. The settlements reported each year are not broken down to show how many, or how much, stem from sexual harassment complaints. The settlement process drew attention in late 2017, when Politico reported the OOC had spent $84,000 to settle a sexual harassment claim against former Texas Rep. Blake Farenthold that was brought by a former spokeswoman. Farenthold, a Republican, stepped down from Congress earlier this year. And, in a case revealed by BuzzFeed News last year, a lawmaker used a separate taxpayer source to handle a claim. 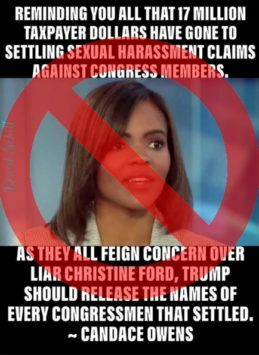 Then-Rep. John Conyers Jr., a Democrat from Michigan, used his office account to pay a $27,000 settlement with a former staff member who alleged she was wrongly dismissed after complaining of unwanted advances by Conyers, who later resigned. In short, it’s unclear just how much taxpayer money has been spent on behalf of members of Congress to resolve sexual harassment claims. But we do know the OOC didn’t say it was $17 million. Bade, Rachel. “Lawmaker behind secret $84K sexual harassment settlement unmasked.” Politico. 1 Dec 2017. Congressional Accountability Act of 1995. Pub. L. 104-1. Accessed 4 Oct 2018. 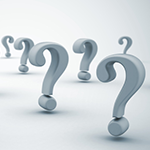 “Correcting the record: Filing claims with the OOC.” U.S. Office of Compliance. 13 Nov 2017. McLeod, Paul and Lissandra Villa. “She Said A Powerful Congressman Harassed Her. Here’s Why You Didn’t Hear Her Story.” BuzzFeed News. 21 Nov 2017. “Office of Compliance FY2017 Annual Report.” U.S. Office of Compliance. 2017.